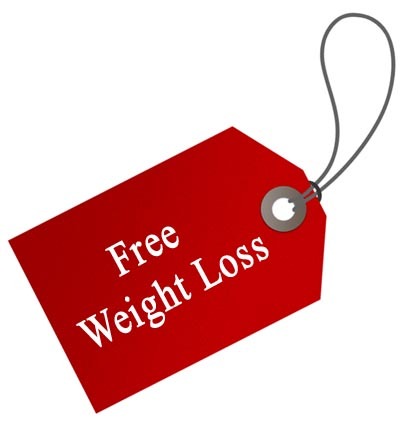 Want to lose weight for free? No supplements needed, no drugs required, take a walk. With the economy deteriorating fast we are all looking for things to do that are free. Unemployment is up, prices are up, about the only thing going down are our pensions and 401K’s. Now is the time to make a decision. We can either watch CNBC all day as the analysts try to explain why we have to shoulder the burden of the bad decisions of Wall Street and pay the multi-million dollar salaries of the already rich CEO’s who have destroyed their companies or we can take this time to get in shape. I have to confess that I have been obsessed with the economy. After spending the last couple of weeks focused on nothing else and slowly sinking into a very blue mood I have decided to take the time to get back on track with a healthy life style and try to lose a little weight in the process. After all the most expensive life style is the sedentary life style since it is the life style most likely to result in health problems. Since I have to buy my own health insurance it is worth it to me to try to avoid doctors and hospitals. I have very little faith that my health insurance company will cover anything without a fight. The weather is perfect for walking. Start the walking regime that works for you. If you are in reasonably good shape, just open your door step outside and start walking. If you have any health problems at all, check with your doctor before you start any exercise program. You should walk fast enough to get your heart rate up but not so fast that you cannot speak comfortably. Try to increase your intensity or distance every few days. To increase your weight loss and conditioning try to jog for short spurts. 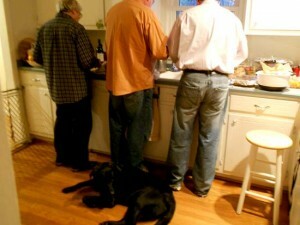 Grab the dog, call a friend, bribe a child, do whatever it takes to get moving. You will feel better after taking your walk and you may just lose weight in the process. Great advice. Walking is the best way to lose weight. Walking is very good for losing weight. To really get results increase the intensity of the walk or start jogging. Completing the same distance in a shorter time gives you a good measure of progress. Great information, I agree completely, walking is such a good thing for your health. What great advice especially since the stress of the recent economy just tends to add pounds even faster. It’s nice to be reminded that without our health, the state of the economy is meaningless. walking is a part of exercising your body. Your right that society is changing so we have something to do to have a healthy lifestyle. Some old man in our neighbourhood always walked at early in the morning. they said that it was a good activities to loose weight and to have a good physical health and posture. I couldn’t agree more, every time I want to lose weight I cut down on the sweet stuff and do some exercise. The handiest exercise for me is to get my iPod and go for a walk for 20 minutes and do this in regular basis for two months and I results. No fancy diets, no driving to the gym and it works fine for me. You bring up an interesting point-the most expensive life style is the sedentary life style. I never looked at lifestyles from that perspective, but think you are right on with your thinking. A walk outdoors can do wonders for stress, hunger and weight loss. Great post! Awesome! Thanks for sharing this tips. Walking is really good for the health. Continue posting for more inspiring tips! http://www.franksweightlosstips.info/ for more tips and tricks on how to lose weight and live in a healthy lifestyle. Enjoy!